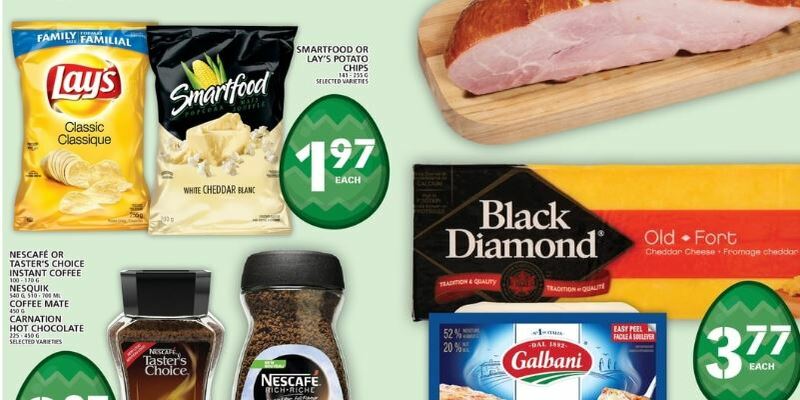 This week, until the 17th of April, Food Basics has Lay’s chips on sale for $1.97, and this includes the 141g Lay’s Poppables. There is currently a printable coupon for these available through the Tasty Rewards coupon portal. which you can find by clicking the link below. You can print up to two coupons for 75 cents off, if you still have prints available for the month through this portal. Each Tasty Rewards member can print four coupons per month in total, but you are able to print two of a certain coupon if you wish, and you do not have to print four different coupons. Use this coupon for 75 cents off and pay $1.22 for the Lay’s Poppables. Click here to print your coupon for 75 off Lay’s Poppables through the Tasty Rewards coupon portal. Click here to view this offer in the Food Basics Ontario flyer.